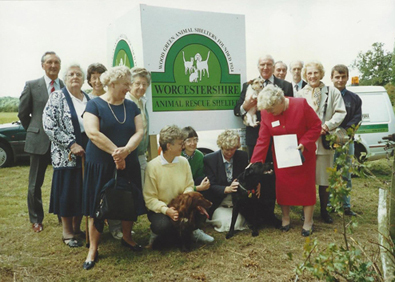 Worcestershire Animal Rescue Shelter (WARS) was formed on 23 May 1983 following a public meeting, which expressed great concern at the number of unwanted animals being abandoned and ultimately destroyed within the County. Agreement was reached that the most satisfactory way to effect a change was to provide a genuine animal shelter equipped and staffed to take care of all such abandoned, lost, unwanted, stray and neglected animals. Every effort was directed towards fund raising, from modest fairs and jumble sales to an Annual Fun Day held on Pitchcroft. 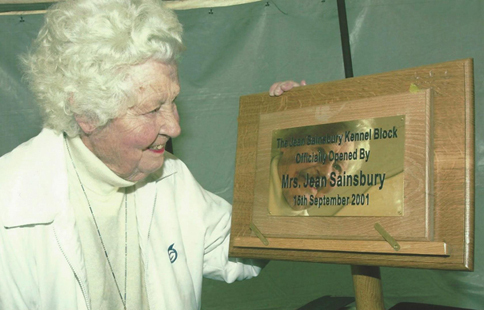 Early on we were fortunate to receive financial help and advice from the Jean Sainsbury Animal Welfare Trust and eventually we became affiliated to the Trust. 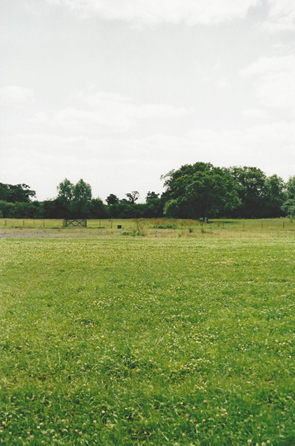 We also received support from Wood Green Animal Shelter who assisted in gaining us planning permission for the site purchased in November 1991 at Hawthorn Lane, Newland comprising 6½ acres; the cost for agricultural at this time was around £2,000 per acre, however, the Charity ended up paying over £45,000. All of the infra structure works necessary for the site to become operational then took place at a cost of £108,000. During 1996 – 1997 we saw quite a change in our fortunes as our monies had depleted somewhat with the purchase of the site etc. Firstly we received £10,000 from Malvern Hills District Council plus a magnificent legacy of £13,000, then the new Mayor of Worcester chose us as his Charity of the Year from which we received £7,000 and a firm of Worcester Solicitors gave us £1,000 raised from sponsored events. Unfortunately before 1997 was out, our site was invaded by travellers who used bolt croppers to gain access through our security gate. They stayed for two weeks and we were powerless to move them on. 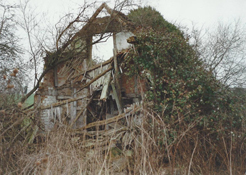 Eventually we had to get a Court Order to have them evicted; this involved legal fees plus a bill for cleaning up the mess they left behind; we also then had the cost of erecting extra secure fencing. 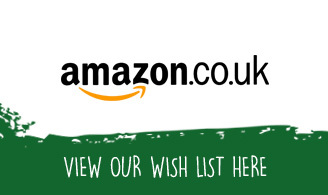 Fundraising continued in earnest, however it became apparent that to open our doors, it was not possible to build kennels plus accommodation for the Manager (we require the site being manned 24/7) together with office space. Perhaps I should explain that the Shelter is eventually for all animals, however, as dogs were likely to be the most frequent residents we drew up plans with them in mind. In 1999 a party of Committee members visited Leicestershire Animal Aid; they were similar to us in size albeit they had been formed much longer. We came away with enthusiasm and optimism because they appeared to have overcome their hurdles and we felt sure we could do the same. LAA continue to help us to this day for which we are extremely grateful. 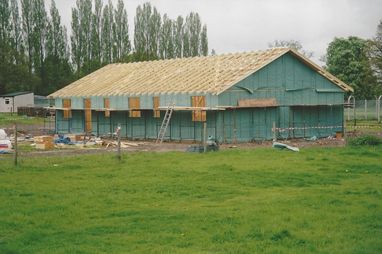 With renewed vigour we contacted an experienced kennel builder and asked him to start work on a block of 10 long line kennels and on 17 April 2000 work began on the kennels and isolation unit. Foundations were excavated and the surplus soil deposited on the anti-noise embankment. During the works we were fortunate to receive a further legacy which enabled us to build additional kennels so we had 22 kennels plus 4 isolation kennels. The cost for these works was in excess of £120,000. We also purchased two mobile homes, one to accommodate the resident manager and the second for office/reception use. 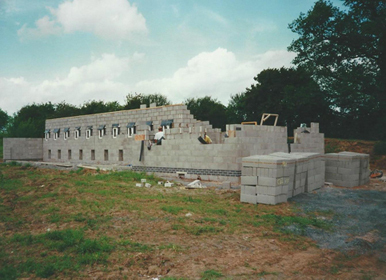 The Shelter officially opened its doors on 9 April 2001, 18 years after the Charity was set up employing three members of staff who oversee the day to day running of the site. We were also fortunate to secure the stray dog contract from Malvern Hills District Council taking in stray dogs via the Dog Warden. A much needed vehicle was kindly provided to us at no cost to the Charity from a local company, Brookhire, for ferrying dogs to the Vets; all animals are vaccinated, spayed or neutered and micro chipped before they leave the Shelter. 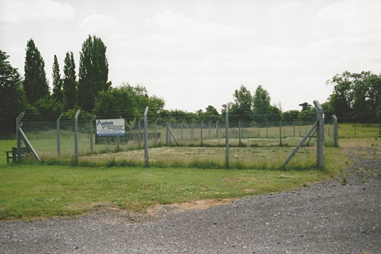 As monies became available, it was agreed to build living quarters and office accommodation; this work commenced on the 14 January 2004 at a cost of £73,820.00. During 2008/2009 we built our cattery unit housing 10 pods plus two isolation pods; this build cost in excess of £70,000.00 which included planning permission, ground works, electrical works, fitting out kitchen area etc. This cattery unit is built in memory of our late Treasurer Joyce Lockett who was instrumental in getting the Charity where we are today and an avid cat lover. With a dedicated team of fundraisers, we had built two exercise areas so that the dogs could have exercise off the lead unfortunately during the winter months these could not be used therefore it was agreed that in 2012 we put down artificial grass so they can be used year in year out. The cost of making them usable all year was £16,225.00 plus VAT. We also greatly appreciate Madresfield Estate for agreeing to rent us the copse in the corner of the site at a pepper corn rent each year. This area has been cleared and fencing erected and we intend to use this area as a sensory garden for the dogs together with a corner being used at a memorial garden. It was agreed by the Committee that this area will be dedicated to the memory of our late Chair/President, Barbara Hardwick who was a stalwart supporter of animal welfare and the environment; it was felt this was a fitting tribute to all the support and effort Barbara gave to the Charity. As and when funding allows, we intend to build additional facilities together with a structure which will help bring revenue into the Charity. We could not be where we are today without the support of the Committee/Trustees, past and present, who are dedicated in ensuring WARS continues the work it started so many years ago. We also have a wonderful team of staff and volunteers who ensure that the animals in our care are looked after until such time as forever loving homes can be found. I am pinching a quote from our Volunteer Co-ordinator – “we do not pay volunteers, not because you are worthless, but because you are priceless” – this is how much we, the Committee/Trustees, appreciate what you all do for the Charity. There have been many times when it would have been so easy to walk away, however, we, Committee/Trustees, Staff and volunteers, are all passionate that WARS continues to carry out the work in helping stray and unwanted animals find a forever loving home which they so rightly deserve.